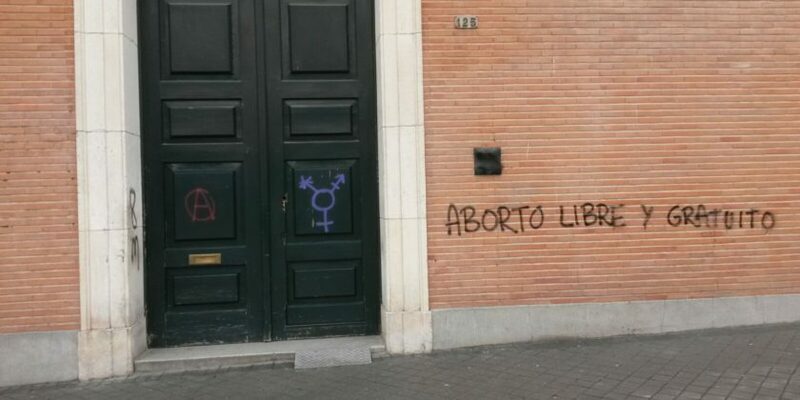 Churches in Madrid were attacked with graffiti during a “feminist strike” as part of International Women’s Day, Catholic Herald reports. 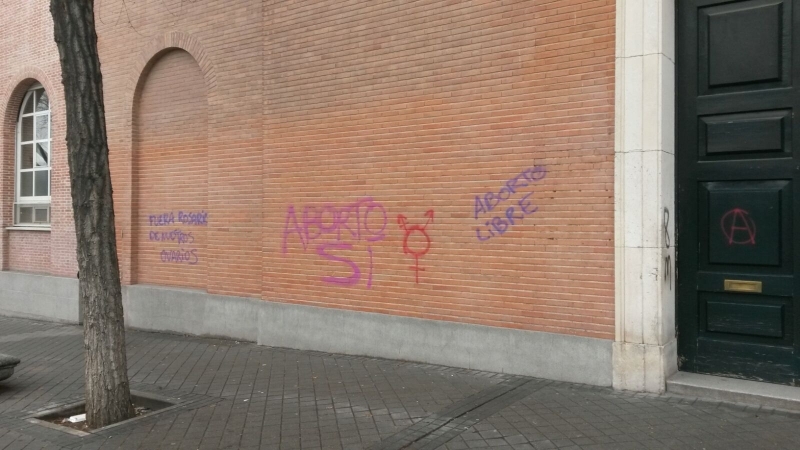 The churches of Espíritu Santo and San Cristóbal were covered in pro-abortion slogans, feminist symbols and blasphemous messages, causing the Archdiocese of Madrid to issue a strong condemnation of the “attack on the heritage of the faithful”. 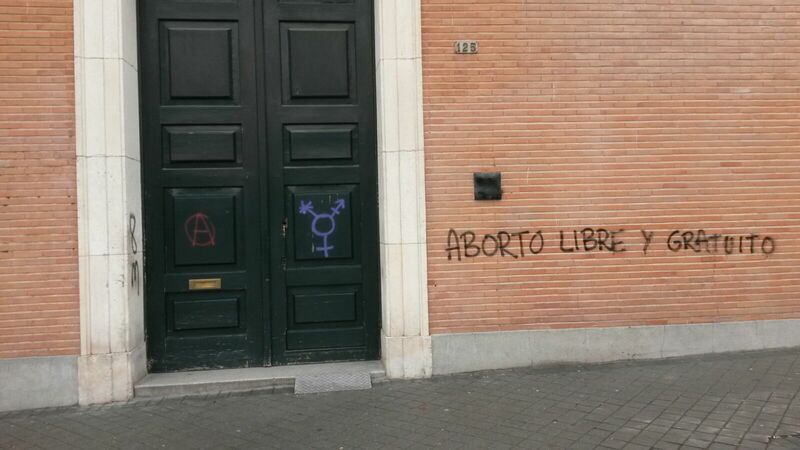 The graffiti on the side of the churches read: “Abortion yes”, “Free abortion” and “Get your rosaries out of our ovaries”.